Check out the best ham and cheese sandwich recipe right here. It's a classic but a favorite that everyone loves. 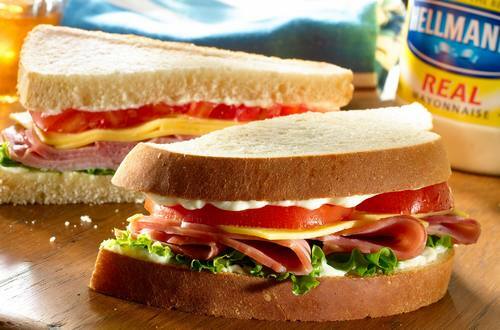 1 Evenly spread Hellmann's® or Best Foods® Real Mayonnaise on bread, then layer lettuce, ham, cheese, tomato and remaining bread.